Harrisburg, PA – The Department of Corrections (DOC) has reduced medical costs for inmates by $14.5 million over the past two years – while maintaining or improving care – by leveraging federal and state programs and innovative partnerships, according to the Governor’s Office of Transformation, Innovation, Management and Efficiency (GO-TIME). The department estimates an additional $20.5 million in savings over the next two years. Inmate health care costs in 2017-18 totaled about $300 million or 15 percent of the department’s $2.1 billion budget. Under a partnership with the Department of Aging, inmates age 65 and over are now receiving medication coverage through PACE, the program for older Pennsylvanians supported by lottery funds. The program not only pays for older inmates, it also ensures that these individuals continue to receive medications upon release. In partnership with Temple Health, the DOC refers inmates diagnosed with HIV for outpatient medical services through Temple Health telemedicine program. The program allows inmates with HIV to see a doctor quarterly via video conference, eliminating the need for transportation and staff costs that would be incurred if an inmate needed to travel to a doctor’s office or hospital. The Temple Health partnership also allows the DOC to purchase the required HIV drugs at reduced prices and ensures Philadelphia area inmates have access to Temple medical staff upon release, improving their successful reentry into the community. As a result of Gov. Wolf’s decision to expand Medicaid under the Affordable Care Act to a greater number of eligible residents, the DOC has been able to access federal Medical Assistance for inmates requiring inpatient hospital stays greater than 24 hours. This have offset the need for state funding. 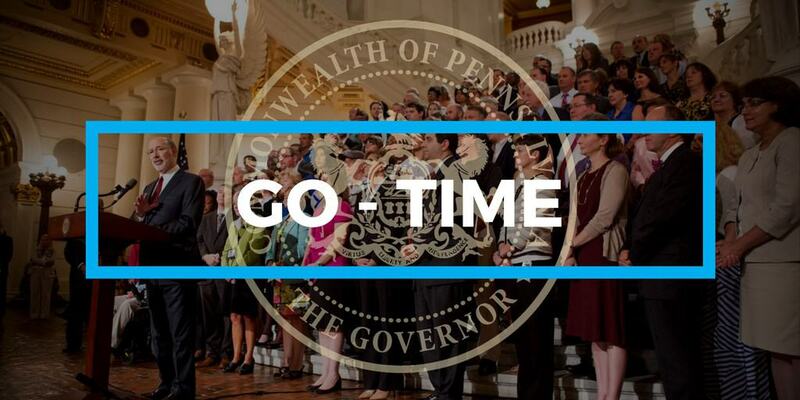 GO-TIME is working to modernize government operations to reduce costs and improve services. GO-TIME works with agencies to identify opportunities to share resources, collaborate and engage employees in transformation. Over the past three years, state agencies have achieved over $373 million in savings while also improving efficiency and customer service as part of GO-TIME. To learn more www.governor.pa.gov/go-time.